The Raise3D Pro2 is the latest model in a line of 3D Printers that have been proven to keep going even with 24/7 usage. If you need the large build volume, consistently accurate prints, and zero failures, then the Pro2 should be top of your shopping list. The Raise3D Pro2 is the latest 3D printer model from the respected brand. Raise3D has become well known for making 3D printers that feature a larger than average build volume combined with an excellent build quality that ensures long-term reliability. When it comes to 3D printers, they can vary in many different ways from size, speed, and accuracy, all of which I will be looking at. Straight away taking the Pro2 out of the box you can see it that it’s around medium sized and an impressive looking bit of kit with many of the internal mechanics on display which I love to see, who doesn’t like to see advanced engineering proudly on display? Compared to the Raise3D Pro2’s predecessors, the extruder now employs a dual toothed-wheel design which has a much higher competency in grabbing the filament. The improved design boasts an increase in torque of 400% compared to previous printers. This gives you greater accuracy, reliability, and the ability to use a flexible filament like TPU easily. The Build Volume now has a height and width of 12 inches with an 11.8-inch depth, which compared to other ‘medium’ sized printers on the market is significantly towards the larger end of the spectrum. The raise3D pro allows integration with 3rd party filaments in what is known as an open material system. This system allows a much broader range of filament options compared to printers that only allow native, printer specific filaments. As a welcome upgrade from previous models, the Pro2 has a sensor that will instantly pause the printing process if the filament malfunctions or runs out. As with many competitors, the Raise3D Pro2 also has a built-in camera for close monitoring capabilities. Mindful of environmental issues the HEPA (High-efficiency particulate air) filter significantly reduces emissions from the printing process. The filter is of particular benefit if you plan to site your 3D printer in a shared space such as a study or bedroom. Even if you are using a non-toxic filament like PLA, you will still appreciate the lack of odor and peace of mind from using a HEPA filter. With a minimum layer height of 10 microns and maximum of 250 microns, the Raise 3D Pro2 does not lack on the detail front, with a nozzle size as small as 0.2mm, it’s capable of incredibly intricate and accurate detail. 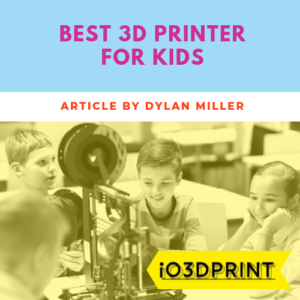 One of the most significant elements consumers desired from previous models was the ability to continue printing as before after a power outage rather than having to recalibrate and do other fiddly configuration to restart your print. The company listened, and unexpected power outages are now much less of an issue. The old tech touchscreen is significantly improved and as well as being easier to use the new touchscreen is now more resilient. Before touchscreen technologies developed to what they are today, small ripples resembling ink used to occur when you pressed the screen, this is no longer the case with the new color touchscreen which is easy to use and responsive. The size of the motion controller has quadrupled from the previous 8 bit to the current 32 bit. This boost in processing power allows quicker and more efficient printing as more computations can take place in real-time. Of course, we’re in the 21st century, and unnecessary cables and wires are simply not wanted anymore, no fear, you can connect seamlessly with the Pro2’s remote user interface. Now I’ll take a closer look at just how the Raise3D Pro2 improves on previous versions and differentiates itself from other printers on the market, to give you a better insight as to whether you should invest in this specific model. First off let’s look at the extruder, which is the part of the 3D printer that controls the flow of the filament. With the Raise3D Pro2, the extruder is now ‘top of the range’ as it now utilizes a dual toothed-wheel design created by BondTech that has a much more reliable grip on the filament. This allows for a vast increase in torque of 400% that will enable you to use much larger filament spools and filament feeding systems compared to your average 3D printer. This will allow you to keep the Pro2 running for longer between filament changed which is a significant benefit in a business environment. Along with this substantial power improvement, the change also facilitates a weight reduction of 40% in the tool head parts compared to previous versions allowing quicker and more intricate printing as the motors have to move and control less mass. In a 3D printer, the control board is essential for dedicating the right power to the right place and making all of the thousands of little micro-decisions in real time. So the difference a powerful motion control board can make is pivotal, and recently 3D Printer manufacturers have been catching onto just how powerful 32-bit processors are. The Raise 3D Pro2 has also spared no expense in this area with both the hardware improvement and the available firmware also getting a renovation. Now we look at the filament; first of all, it’s refreshing to see such large compatibility with a wide range of possible filament material options as opposed to other companies forcing you down a specific route. There is also a filament sensor which pauses proceedings if there is an error or the filament runs out, this can make all the difference as it prevents any damage to your potential masterpiece. The layer height is one of the best on the market, as 10 microns allows a level of accuracy that most of its competitors cannot replicate. Let’s compare it to one of its main rivals, the Zortrax M300, this has a layer resolution of 90-290 microns, although this is still impressive, that’s nine times the size of the raise 3D’s which can have a noticeable difference when you’re printing more detailed design projects such as miniatures or jewelry. It was undeniable that the touchscreen on the older versions was frustrating to use, cumbersome and just hard to get the action you wanted. Well, this has had a much-needed upgrade using the same technology as many smartphones which gives you much better responsiveness. Consumers of the older models were crying out for a better fallback for when an error or power outage occurred. We can’t predict power outages for example, and when such an event happened before, you would need to go through the process of having to recalibrate the hotend position, now the resume power feature allows you to quickly pick up right where you left off, which is excellent. Wireless capabilities aren’t something to write home about, but you would be annoyed if it didn’t have them. The Pro2’s onboard wi-fi works without any issues. The Raise3D Pro2 comes neatly and densely packaged to prevent any possible damage. When you open the Pro2’s box, the quick start guide presents itself on top of the contents, with five small boxes containing various components on the top. Once you take the top packing layer off, you can now see the whole printer tightly packed with polystyrene corners. The printer essentially comes as one large unit with minimal assembly required at all, it’s impressive how little you need to do. Be careful when moving the unit, I would recommend getting help if possible as it’s relatively heavy and not exactly something you want to drop. Once you have moved the unit, you will need to remove some cable ties keeping things where they should be. Inside the printer you will need to attach the ceiling platform which needs to be screwed in correctly and the holders which you mount the filament material reels on, these need to be tested by feeding the material through and keeping a close eye on it, but other than that, unboxing the printer is a five minute job. 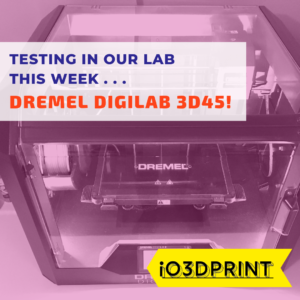 Now it’s onto the process of setting up your new 3D printer which again, spoilers ahead, is a straightforward task. First, you need to plug your power cable in, and from here it’s a case of interacting with the 7” touchscreen, where everything is self-explanatory, thanks to the logical labeling and GUI. From here you can set your wireless network up, make sure it connects with your computer and from this point, it’s just a case of getting to grips with the user interface of the machine, something that will take even the most technophobe of users only a short period to master. All of the software and drivers required for the printer are included on a micro-SD card and are also available on https://www.raise3d.com/pages/download and it’s all simple to install following the simple instructions they give you in the quick start guide. The included modeling and slicing software for the Raise3D Pro2 is idea Maker (current latest version: 3.17) which has mixed reviews but is a good place to start, or you can use any other slicer software you prefer, my preference is the free CURA. You shouldn’t have any issues with the customer service from Raise3D. They pride themselves on quick and helpful service, and I have yet to experience or find any negative feedback regarding customer service at Raise3D, with many customers opting to get in contact with the company before making their purchase to receive swift and useful responses. Excellent customer service is a trait that seems to carry on once the customer has purchased with seemingly a lot of effort and pride on this front from the Raise3D team. If you have any questions before making a purchase, you can test out the speed of their communication at http://forum.raise3d.com/ yourself. However, it is also worth noting that Raise3D is a developing company so maybe also consider this regarding future interactions, this could lead to even better customer service in the future. So after looking in depth at the features of the printer, let’s evaluate where it beats its competition and where it falls short. Print quality: With all of the improvements that have been made with the layer height now being much more precise and the microcontroller getting 4x the processing power, the quality of the print is second to none in its field. Build volume: Another area where the Pro2 excels is the build volume. Unless you’re looking for larger industrial size printers, the Pro2 is very likely to be able to cope with the magnitude of anything you throw at it. Reliability: One thing the Raise3D company as a whole do well is to build sturdy, reliable products, and you will see proof of this if you look at customer reviews, which I highly recommend. Many customers praise how long their Raise3D printer has been running, with plenty of owners using their Raise3D printers in industrial or business environments 24/7 for many months. Community: Although the company is not as notorious as some of its competitors, the Raise3D community is expansive and helpful. Again, this is an aspect that is easier to see than it is to describe so I would recommend asking a question and gauging how insightful and quick the responses are, I guarantee the feedback will be of high quality. Price: Depending on what you want from a 3D Printer you may consider the Raise3D Pro2 to be on the expensive side. 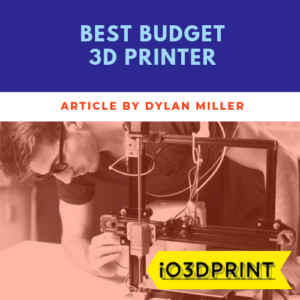 However, considering the quality and reliability the Pro2 offers, as well as the build volume and dual extruder capability, it is competitively priced compared to its closest rivals, the Zortrax M300, and the Ultimaker S5. Printer Size: While the build volume gets plaudits, the size and weight of the printer as a whole are perceived by consumers as cumbersome. Other models such as the Sigma and Formlabs range make much better use of the size of the unit. 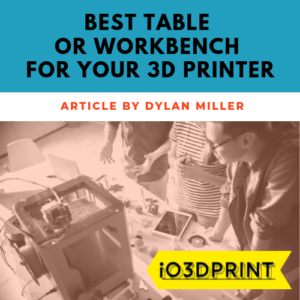 While this is probably not a big deal for most people, it can be a deal breaker if you need to move the 3D printer around, own more than one or have limited space to keep it in. The Raise3D Pro2 is aimed squarely at professional/semi-professional and expert users who need reliability, accuracy, and large build volumes. If you fit into one of these experienced categories of user, then it’s very hard to fault the Pro2. Raise3D have ensured their latest model will sit perfectly in a business or industrial environment where it can be relied on to perform consistently and repeatedly for prolonged periods without costly maintenance or failures. Of course, the decision of which 3D printer to buy is never going to be a light one, and you should consider your concerns, such as budget, size of potential projects and speed over accuracy, but one thing I can safely say, the Raise 3D Pro2 is an all-around solid buy. Price excl. shipping / Last update on 2019-04-18 at 13:21 / Images from Amazon Product Advertising API / As an Amazon Associate I earn from qualifying purchases. Do you have a profile for this machine in cura?